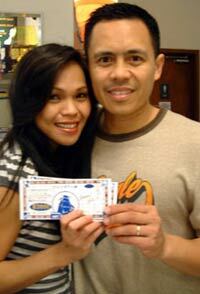 Joshua and Vivienne Rosario from Jacksonville, Florida, “The Home of the Jacksonville Jaguars,” are the winners of two dinner tickets to Sam’s by the Sea. They have been on Okinawa two months and find the island adventurous and exciting. Read More! A seesaw in the form of an animal is the Miyazato Dai-Ni Park mascot, and visiting children are filled with laughter has they play and frolic on the playground. 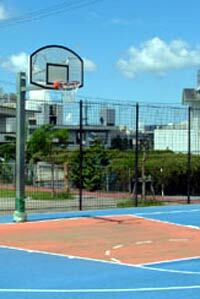 Miyazato Dai-Ni Park is small, almost intimate by some park standards, surrounded by a residential neighborhood. Read More! It’s a bit different from the traditional wine festivals brought to Okinawa, but promises to be a spectacular April event at the Butler Officers’ Club. Okinapa, an extraordinary wine tasting event sponsored by Marine Corps Community Services since 1997, is set as a Spring Extravaganza April 11th and 12th. Read More! Okinawa’s premier marathon is expecting upwards of 11,000 runners Sunday as it winds its way through streets of nine cities, towns and villages. The 2008 Okinawa Marathon is the best known of the island prefecture’s marathons, offering a grueling, challenging 42. Read More!